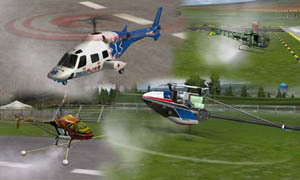 In this session, you will find information on new simulators and training techniques for learning to fly Model Helicopters. It is a fact that radio controlled helicopter is the most difficult RC model to learn to control. However, once the skills are learnt, the experience is arguably the most rewarding. Of all the RC crafts available, radio controlled helicopter is arguably the hardest to master. 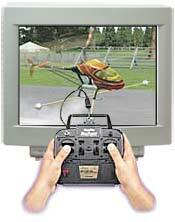 However, with the advent and advances of today’s RC flight simulators, the learning curve have decreased. Now, new RC helicopter pilots can literally crash as often as they want until they can eventually keep their helicopter in the air. Nevertheless, conventional RC helicopter training lessons has not lost their importance. For some, they provide a guide to practicing in the simulator. For others who don’t like simulators - or for some reasons can’t get their hands on one, flying lessons are invaluable. For those that choose to go the no-simulator route, it is generally recommended that you hire a certified instructor. But, with the increasing popularity of cheaper electric RC helicopters, the cost involved with this hobby decreased exponentially. As a result, many new pilots are choosing to learn to fly with neither a simulator nor an instructor. No matter how you choose to learn to pilot RC helicopters, this article which provides classic helicopter lessons will definitely come in handy.